Today we present a simple musket fork (without wooden shaft) from Germany, which was built between the beginning and the middle of the 17th century. 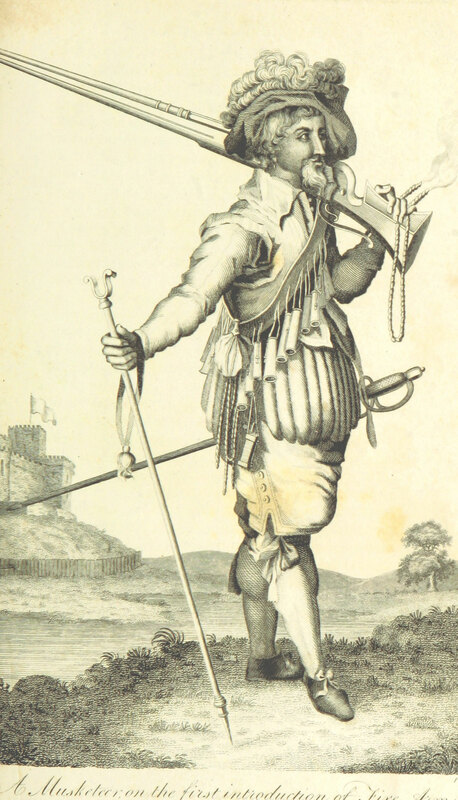 The musket forks were not deadly pole weapons, but were used to ensure that the musketeer could fire a reposeful shot. 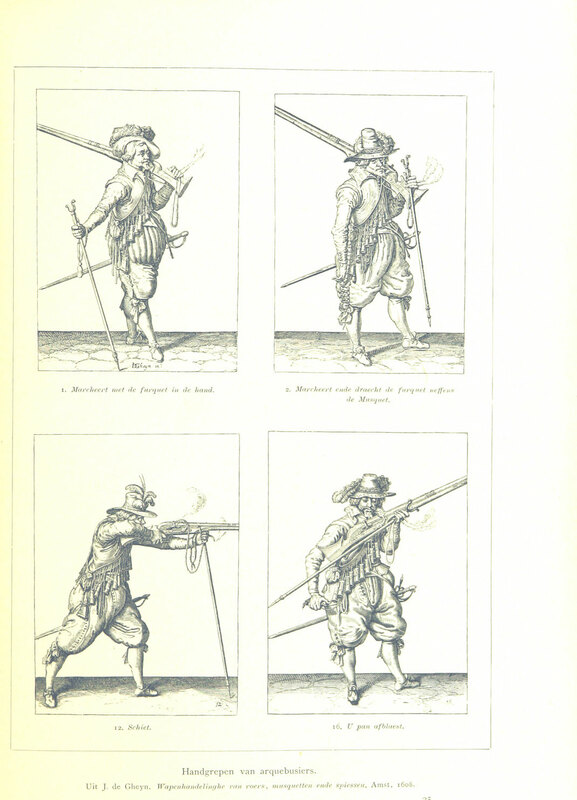 At that time, the muskets were big and heavy firearms, which could not be held safely with two hands, because the ignition device has not given this yet. Older specimens in particular had to be fired with burning fuses, which made it impossible to keep the musket steady. For this purpose, the musket fork was developed in whose fork the musket could be placed. 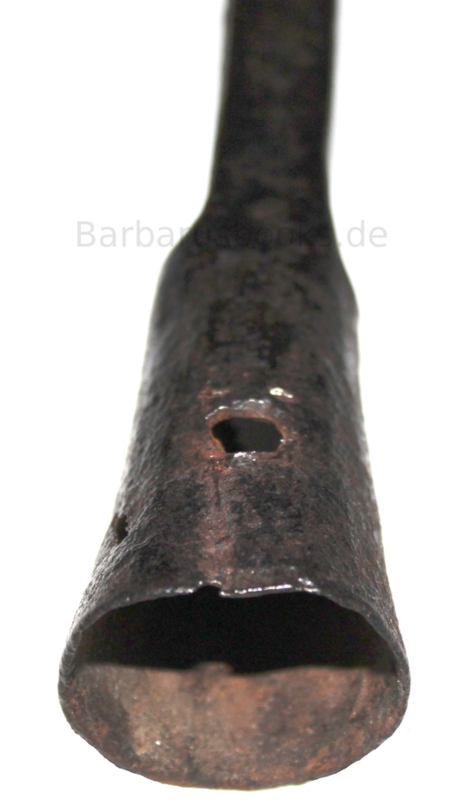 Before that, the musket fork was rammed into the ground during a battle with the tail end, which was usually protected by a lance shoe (see article "Bürgerwehrspieß"). Now, the shooter had to carry a lighter weight and was able to aim better. In the German "Universal-Lexikon oder vollständiges encyclopädisches Wörterbuch", vol. 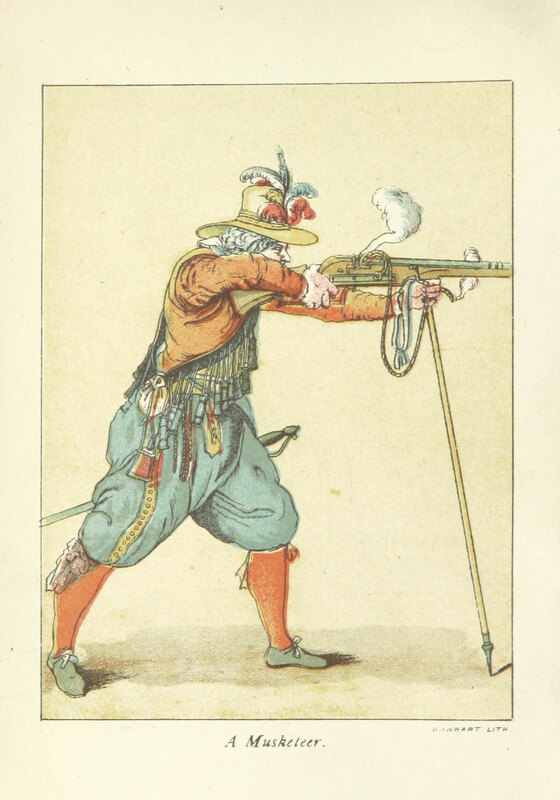 14 of 1835 by Heinrich August Pierer, it is also written: "The musket was fired with a matchlock and placed on a musket fork to have a closer shot". Usually, musket forks with their wooden shafts were between 130 and 150 m long and weighed around 1 kg. In the book "Archiv für die sächsische Geschichte" - Volume 1 of 1863 is written that a musket fork cost 14 "Groschen" (pennies). For comparison, one musket barrel cost 1 guilder and 56 pennies. Higher quality musket forks were decorated with coats of arms and can have elaborate ring adornments on the wooden socket. Fabulous mythical creature or animal heads adorn the fork ends. The restored sample has a total length of 27.3 cm, a maximum width of 9.9 cm and a socket diameter of 2.9 cm. "Onze Gouden Eeuw. De Republiek der Vereenigde Nederlanden in haar bloeitijd ... Gei¨llustreerd onder toezicht van J. H. W. Unger", 1896 London. "With the King at Oxford. A tale of the Great Rebellion ... With sixteen illustrations" von Church, Alfred John; 1886, London. "The naval and military history of the wars of England, including, the wars of Scotland and Ireland, etc" by Mante, Thomas, 1800 London.